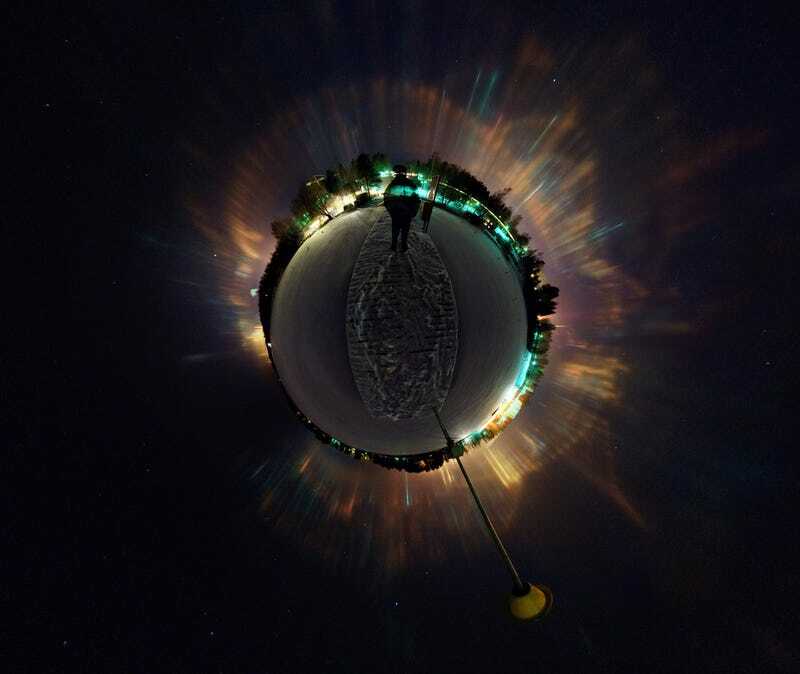 The spherical panoramic image mosaic maps a view from Siilinjärvi in eastern Finland. Flat ice crystals, like those more often found in high, thin clouds, are gently fluttering in very cold air near the surface. The pillars of light appear as their briefly horizontal facets reflect upward directed light from ground sources downward, toward the observer. In fact, the fluttering crystals produce an effect analogous to the shimmering columns of moonlight or sunlight reflected by surface waves across water.